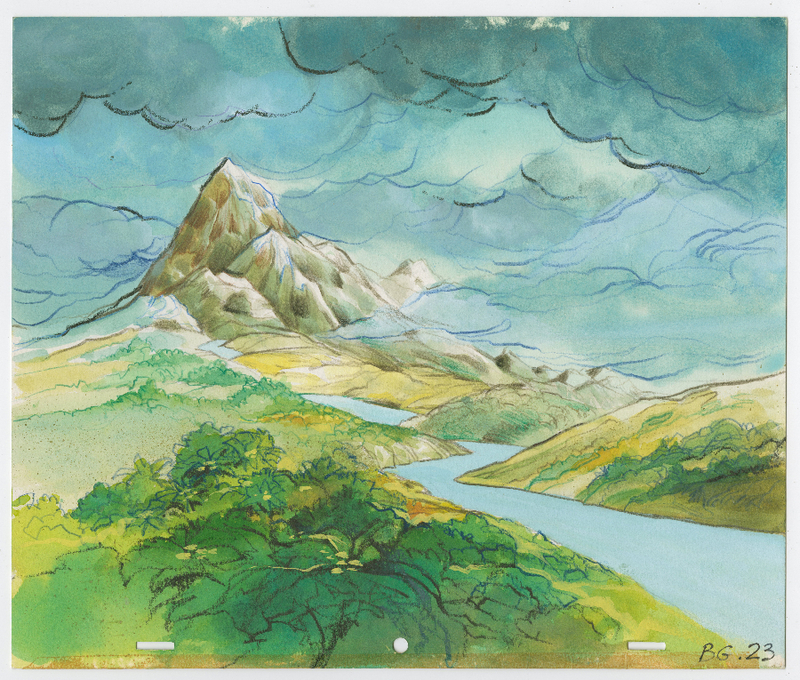 This is an original hand-painted production background from an unknown Hanna Barbera Studios animated film, likely from the 1980s. The background measures about 10.5" x 12.5" with the imagery taking up the majority of the illustration paper. The background is in good condition and various additional layers of the river's wave effect layer are also included with the background.